Can Frieri find the force and a consistent second pitch in Tampa Bay? Although Frieri was terrible in 2014, he had a higher K/9 and lower xFIP (expected fielders independent pitching) and WHIP than Rodney during his fall from closer to being released by the Pirates. Looking at his velocities there are no major changes in any of his pitches, though in 2013 Frieri used his cutter 10% of the time whereas in 2014 he only threw it at an 8% clip. Frieri did experiment with a slider last season, throwing it 16% of the time after not throwing any in 2013 as he searched to find a consistent second pitch to compliment his fastball. On a brighter note, Frieri threw his fastball just under 95 MPH (94.98 2013, 94.8 2014) over the last two years. What he lacks that Rodney does possess is a second pitch. Rodney has an 83 MPH changeup to compliment his fastball and sinker that average around 96 MPH. In 2014, pitcher B threw his 98 MPH fastball 79% of the time, his 88 MPH changeup 13% of the time and his curveball only 5%. Because he could locate his fastball to generate outs he was successful, though there were bumps in the road. Pitcher A has a higher K/9 and lower WHIP even with the disparity between his ERA and FIP. The xFIP paints a closer picture with pitcher A’s being at 3.48 and pitcher B’s at 3.02. However, in drafts last year pitcher B would have cost your team an average pick at spot 80 as the fifth closer taken. Pitcher B resides in St. Louis and is Trevor Rosenthal, while pitcher A is Ernesto Frieri. In no way am I saying that Frieri is in the same realm as Trevor Rosenthal as a closer but the numbers blindly paint an intriguing image. Rosenthal is only 24 years old and entering his prime but he had his bumps in the road as the Cardinal closer in 2014. I am not fully endorsing Frieri, I just think he should be an endgame consideration for AL-only managers. If McGee is going to get a chance to close, the emergence of Jeff Beliveau will be key as he can fill the role of the left-handed matchup artist to bridge to McGee in the 9th. However, this could be closer by committee type pen that strictly plays matchups, similar to how Joe Maddon used it last season. 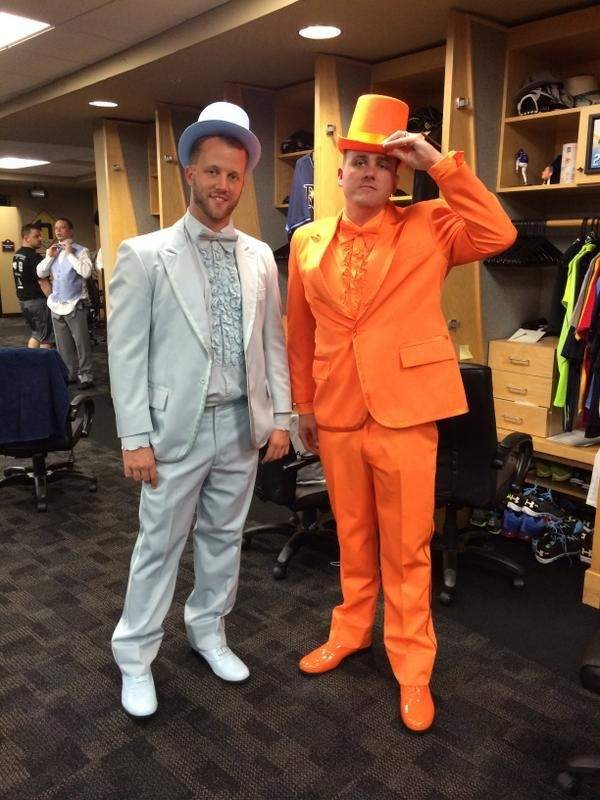 Because of the core of talent that the Rays possess, it will be very difficult to predict the roles of Frieri, McGee and Boxberger moving forward. While many teams like Detroit would kill for this level of depth in their bullpen, the Rays will not only have flexibility but as many as three pitchers capable of closing effectively. With a burgeoning young staff and a very deep bullpen, it will be interesting to see how Tampa Bay rounds out it’s roster. Be attentive to the Spring Training ramblings and take note if Ernesto Frieri is learning a new pitch or adjusting his position on the pitching rubber. 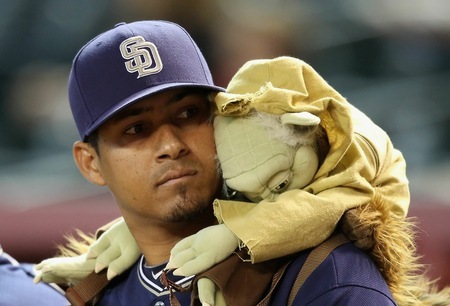 Burn us once Tampa Bay you might, but if Frieri becomes the closer again, you will not burn us twice.